Why subliminal messages for quitting? Just quit! OK, how many times have you tried to quit smoking in your life and failed? Needless to say, many of you and many times in life! As and when you make a decision to quit, you seem absolutely determined to your own self without a single spec of doubt in your mind about the success of your resolution. But, like all other New Year resolutions, it only takes a few hours for your addiction to break into the seemingly invincible fort of your self determination, going on weakening it with every passing hour. You keep fighting the offender for as many hours, or as many days, or even as many months in some cases as your determination can before it succumbs to the lure that your addiction uses as its most efficient weapon at its behest in the war. It’s only a question of time as to when you surrender; whether in hours, in days, in months or even in years in some rare cases. It’s not that you do not want to quit smoking for good. The only lacuna on your part that makes you lose the war is that a part of your mind does not! A part of your mind just doesn’t want to quit! It’s your subconscious conditioning that doesn’t let your seemingly invincible fort of self determination remain really invincible for long. And it’s here that you need an outside help from subliminal messages to get embedded in the otherwise unfathomable depths of your subconscious mind. They simply replace your subconscious conditioning helping your addiction in a covert way with a natural subconscious drive working as the strongest weapon at the hands of your resolution to come out victorious for good. The forces that were fighting from your opponent’s side suddenly start fighting from yours! Your conscious decision and your subconscious drive get merged into one single whole without any contradiction in the integrity of your resolution. Your efforts must bear fruit now. But mind it, it’s not going to be overnight so. You will have to keep listening to the audio album containing subliminal messages specially designed to quit smoking for a couple of weeks regularly in order to start showing its first effects of strengthening your resolve. 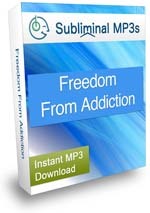 This album is one among many in the ‘Overcome Addictions’ category comprising the main Freedom From Addiction Subliminal along with the rest in this category, namely Alcohol Addiction Recovery Subliminal, Improve Self Control Subliminal, Overcome Gambling Addiction Subliminal, Overcome Your Impulses Subliminal, Stop Smoking Subliminal, Overcome TV Addiction Subliminal, Stop Nail Biting Subliminal, Affluenza Epidemic Treatment Subliminal and Computer Game Addiction Subliminal. 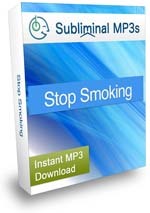 If you haven’t tried Stop Smoking Subliminal yet then the time has come for you to listen to these subliminal messages enabling you to quit smoking and come out victorious in your resolve, now.